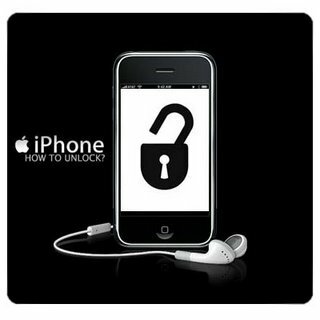 A very well-known developer of iPhone Dev-team named MuscleNerd has introduced a new way to Unlock any Jailbreak iPhone 4S and iPhone 4 devices Running any Baseband/Carriers & Firmware’s by Using SAM Method. Now Apple iPhone users can Jailbreak and Unlock any iPhone devices running any baseband or firmware. MuscleNerd has confirmed that a Chinese iPhone hacker Loktar_Sun was able to find a method for unlocking any Jailbroken iPhone device running any carriers or baseband using the well-know Cydia package SAM "Subscriber Artificial Module". This new tweak and hack will work like an Ultrasn0w method to unlock any iPhone devices, and the current highlighted method is also verified from the iPhone DevTeam’s key member MuscleNerd. According to MuscleNerd profile post "he was able to Unlock iPhone 4S and iPhone 4 devices by using SAM method and also successfully able to run it on T-Mobile’s network carries. This new Jailbreak and Unlock method will surely help those users who were struggling with a locked iPhone baseband and carries, especially the iPhone 4 “04.11.08” baseband users. Now let’s start the Guidelines and Steps to Unlock iPhone 4S and iPhone 4 devices Running any Baseband/Carriers & Firmware’s by Using SAM Method. Jailbroken iPhone 4S, iPhone 4 or iPhone 3GS (Not included on any IMEI blacklists). Download and Install Apple iTunes. Computer/Laptop with working internet connection. You will also need to know the carrier the your iPhone is locked to. How to Unlock iPhone 4S and iPhone 4 devices Running any Baseband/Carriers & Firmwares with SAM? Read the above requirements carefully and then follow the following simple steps to Unlock and Jailbreak iPhone 4S and iPhone 4 devices Running any Baseband/Carriers & Firmwares by using SAM method. Step 1: Install Sam Bingner’s SAM (Subscriber Artificial Module) package. I recommend that you get it from repo.bingner.com since older versions have a different interface and may not work for this purpose. 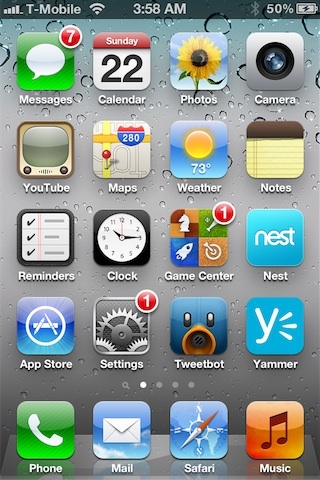 Step 2: Enter SAM by either going through the settings menu or find the SAMPrefs icon on your springboard. You will need to have the SIM card you intend to use in your phone. Step 4: With SAM enabled, choose “By Country and Carrier” in “Method”; find your carrier, for some carriers operating more than one Carrier ID you may need to select “SIM ID”; easy to tell since iTunes will not activate if the wrong IMSI is selected. Step 5: Go to More Information”, copy or write down the IMSI in “SAM Details”, then tap “Spoof Real SIM to SAM”. Step 6: Go back to the main SAM screen and change your “Method” to manual. Paste or enter the IMSI string we saved in Step 5. Step 7: Connect your iPhone to your computer and allow iTunes to do its job (namely re-activating your phone), double click “Phone Number” parameter at the main device screen and make sure that the ICCID matches that of your SIM card. If not you need to start over from Step 1. Step 8: Unplug your phone, close iTunes. Step 9: Disable SAM. The source article says to uninstall SAM and delete your lockdownd folders; it’s unnecessary. Step 10: Connect your phone to iTunes again, you should get an error saying that your phone cannot be activated. This is normal. Just close iTunes and open it again. Step 11: You should see signal bars in a short time, Congratulations!! Step 12: Push notifications may stop working after this procedure but can be easily restored with “clear push” utility in SAM followed by connecting to iTunes. Video Tutorial to Unlock any Jailbreak iPhone 4S and iPhone 4 devices Running any Baseband/Carriers & Firmwares with SAM? After implementing all above procedures and steps your iPhone 4 and iPhone 4S devices will be unlocked on the SIM card by using this procedure only and if you want to use any other SIM card in future on your iPhone you will be required to repeat the above procedures and steps with each new SIM inserted on an individual basis to save the unlock ticket for each SIM. You have to repeat steps from 1 to 8 for each SIM card then you have to SSH your iPhone using iFile, Cyberduck or etc. Finally navigate to /var/Root/ibrary/Lockdown and save a copy of everything in this folder for each SIM. Congratulations!! All steps done. Enjoy Now. I'm trying to do it with my 4S but SAM doesn't show the state of my iphone. I'm already using 7.0.6, do you think it might be a problem?